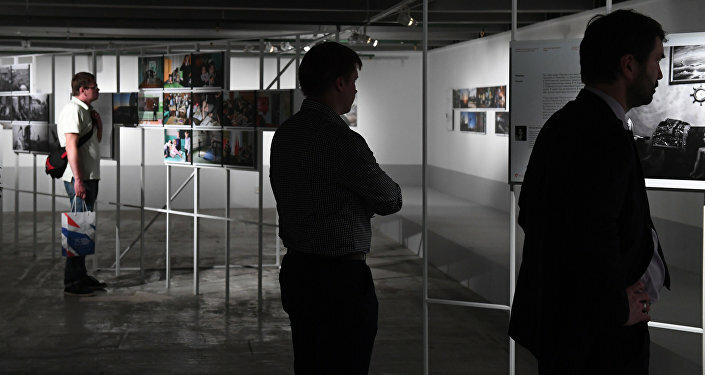 MADRID (Sputnik) - An exhibition of photographs by finalists of the Andrei Stenin International Press Photo Contest 2018, organized by the Rossiya Segodnya International Information Agency under the aegis of the Commission of Russia for UNESCO, opened on Monday at the Russian Center of Science and Culture in Madrid. The exhibition, which will run through December 28, features about 50 works by young photojournalists from Spain, Iran, Iraq, Italy, Bangladesh, Israel, Russia, Belarus and other countries. 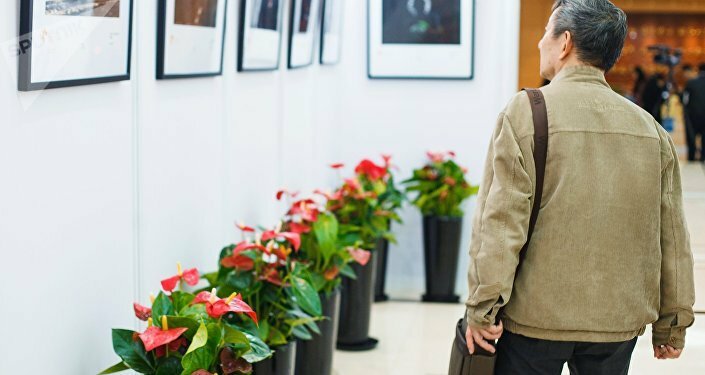 "This year we are holding a contest for the fourth time, about 6,000 works by photographers from 77 countries were presented [at the contest]… At the same time, this competition is for young photographers between the age of 18 and 33," Oksana Oleinik, the curator of the contest, told Sputnik. The Grand Prix of the contest is about 10,000 euros (about $11,000), Oleynik added. The competition itself was held in four nominations such as "Main News," "Hero of Our Time," "My Planet" and "Sport." This year's Grand Prix winner was Alyona Kochetkova, who won with her series of photographs called "How I became sick," which documents her dramatic fight against cancer. The exhibition in Madrid also displays the black and white graphic showing the history of Ligurian football fans "Ultras" by Italian photographer Andrea Alai and photographs from tennis courts of Roland Garros 2017. The Andrei Stenin International Press Photo Contest for young photojournalists is named after a photo correspondent of the Rossiya Segodnya International Information Agency who was killed while on assignment in conflict-torn eastern Ukraine in 2014. The contest was established to support young photojournalists aged between 18 and 33 years old as well as to attract public attention to modern photojournalism. Madrid is the seventh city to host the Andrei Stenin contest following the exhibitions at the UN headquarters in New York, Moscow, Cape Town, Shanghai, Beirut and Brussels. The exhibition will then visit the city of Weihai in northeastern China and other cities of the world.